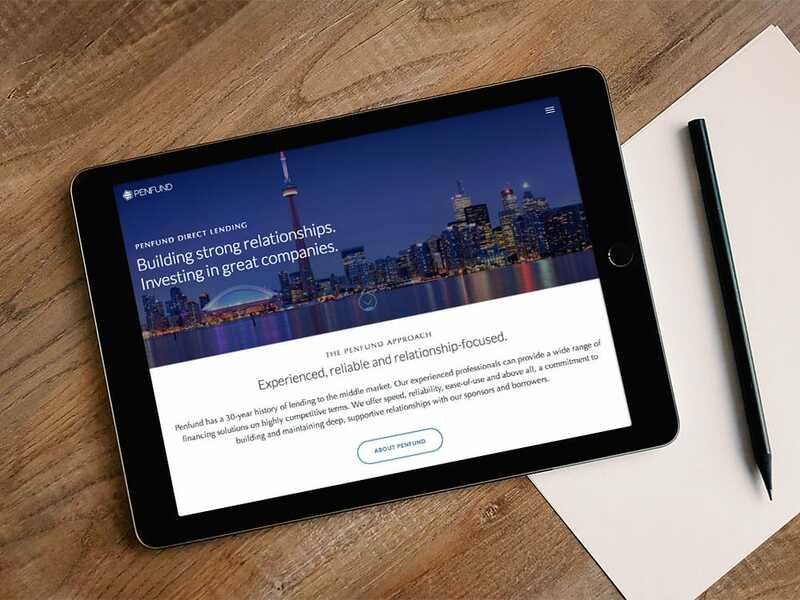 Founded in 1979, Toronto-based Penfund is a leading provider of Junior Capital to Middle Market companies throughout North America. The firm is owned by its management team and is currently investing C$724 million of committed capital. The company wanted to leverage their remarkable reputation, but their website was dated. 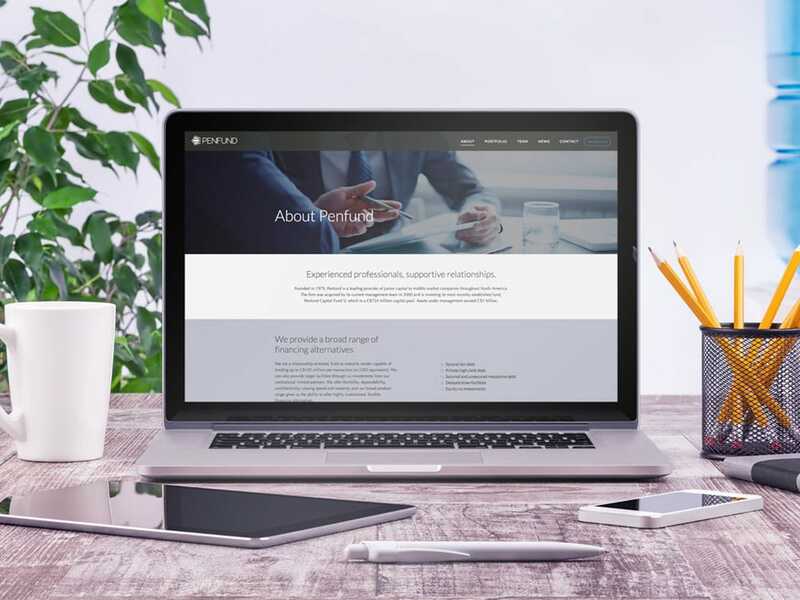 The junior capital provider needed new photography, web-friendly fonts for greater online readability and more intuitive navigation that could better serve the business owners, management team members and lenders who access to the site. MVP updated the private debt provider’s look with well-researched photography and modern, iconic fonts. And we redesigned the website to give visitors the best user experience possible. The new site features a compound filter for portfolio companies that allows visitors to view edited results based on selected criteria. We also gave the Team Member section the ability to expand underneath each individual, so users can see additional information while remaining on the same page. The Industry Sectors component features custom iconography, making the content more interesting and viewable at a glance. Additionally, the use of Google Captcha below the Contact Us form prevents spammers from reaching Penfund’s inbox. And we employed transitions throughout the site to indicate where user action needs to be taken for an interactive and intelligent user experience.